The next device from Apple is rumored to be the iPhone Mini, a smaller - and more importantly cheaper - version of its smartphone, and the release date may be in the summer. There are plenty of reasons why Apple needs to start making the cheaper iPhone Mini, and the Morgan Stanley managing director of the PC hardware industry, Katy Huberty, points that out after meeting with Apple Chief Financial Officer Peter Oppenheimer. Emerging markets like China and Brazil have snapped up the iPad Mini, according to her comments picked up by CNET. "iPad Mini is expanding Apple's customer base with 50 [percent] of purchases in China/Brazil representing new customers to the ecosystem," said Huberty. Likewise, Chinese consumers are showing signs that they're willing to buy into the latest models of the iPhone instead of the smartphone's older generations. Preparing for expanding markets as well as existing ones, she anticipates that new carrier partnerships will take place in Q2 2014 with NTT Docomo, T-Mobile, and China Mobile. Outside of those emerging markets, Huberty notes that Apple's everyday consumers have been buying older versions of the iPhone. 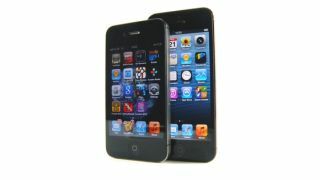 "iPhone 4 demand surprised to the upside in the December quarter," she said. She didn't speculate whether the reason for this is due to the lower price of the iPhone 4 and iPhone 4S or the lack of innovation in the iPhone 5. In addition to saying that the iPhone Mini could launch in the summer, Huberty said that she expects that the iPad could be refreshed in the middle of the year. I'm no analyst, but I think summer and middle of the year might happen at the same time. Either way, rumors suggest that an iPad Mini 2 will roll out with a Retina display, and that iPad 5 will be completely redesigned.